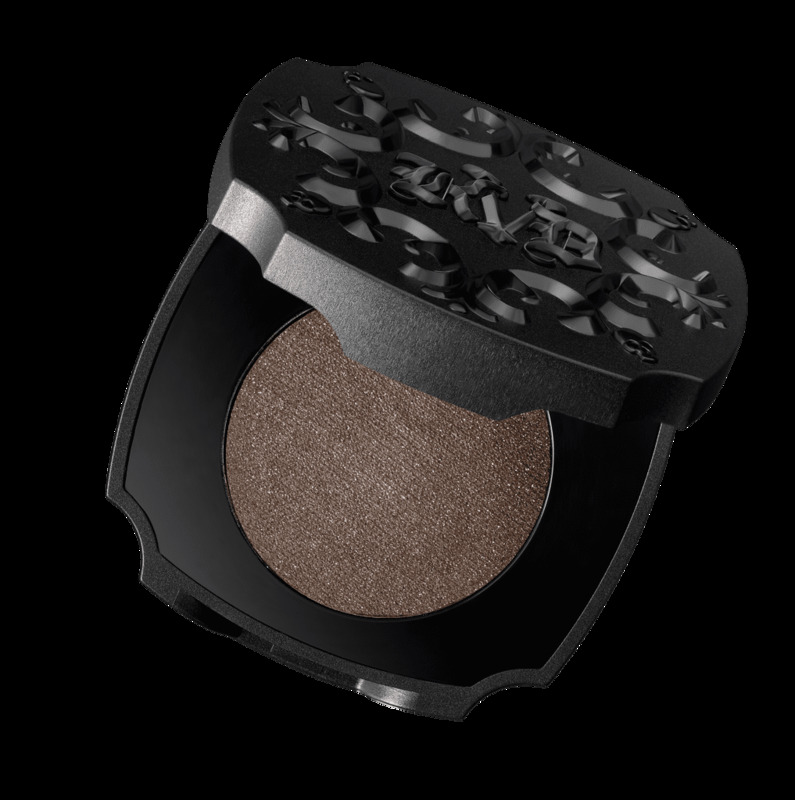 Forgive me for being skeptical when I first opened the gorgeously Gothic lid on Kat Von D's new Browstruck Dimension Powder ($20) to reveal . . . shimmer? Hmm, I thought. I'm all for trying edgy new looks, but does anyone actually want a glittery brow for day-to-day? It turns out the answer is twofold: probably not, but we definitely should. That's because the lightly metallic formula is a stroke of subtle genius. Counterintuitively, the reflective shades lead to a surprisingly hypernatural effect. "It's not really a shimmer. It's a different type of sparkle," Von D explained as we caught up in a suite at LA's famed Chateau Marmont, which was transformed into a black-lacquered, red-rose-studded lounge for the launch of her new Kat Von D Brow Beauty collection. "The formula mimics the same reflection of light that your hair does — because eyebrows are not matte naturally. We have glossy hair that makes up our eyebrows. So, this formula basically just enhances that, and it gives you the most natural-looking brow." And she's right. When I gave it a try at home later that day, I was sold. My brows looked like my eyebrows . . . only better. 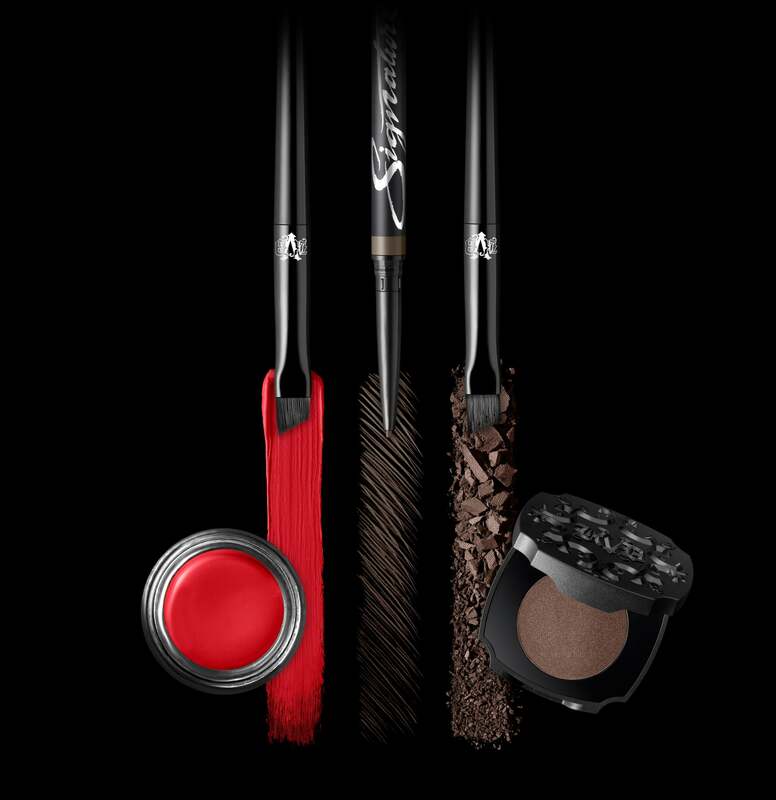 From left to right: Kat Von D Beauty 24-Hour Super Brow Long-Wear Pomade in Scarlet ($19) with the Pomade Brow Brush #70 ($18), Signature Brow Precision Pencil ($20), and Brow Struck Dimension Powder ($20) with the Powder Brow Brush #75 ($18). 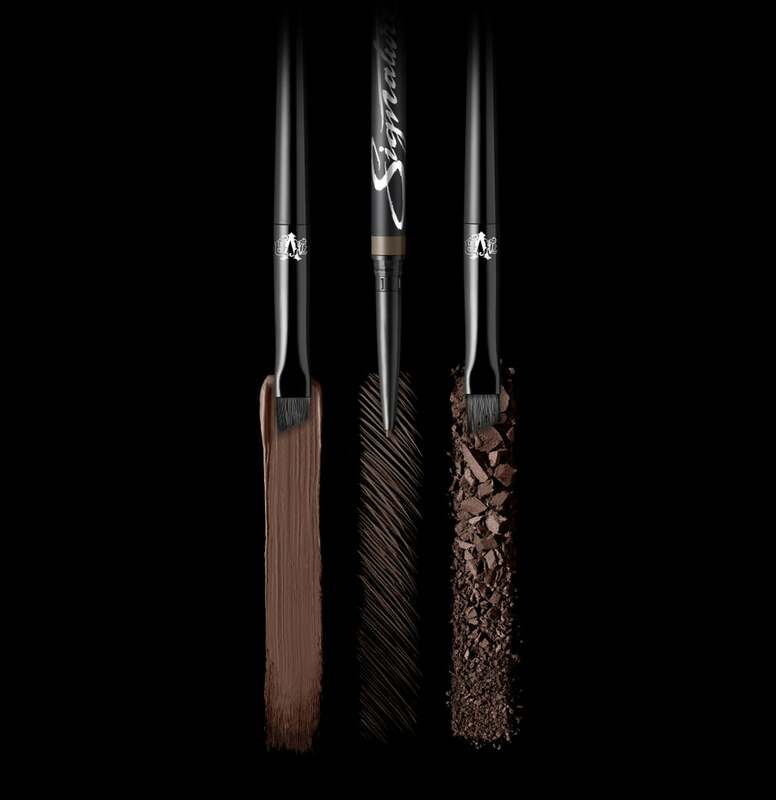 The powder is one of three new products and two new brushes in the new range, which will be available on April 20 at Sephora and on KatVonDBeauty.com. And while the powder might provide a perfectly natural effect, never fear: the tattoo artist and makeup chameleon offers up plenty of opportunities to go wild with her latest collection. Her 24-Hour Super Brow Long-Wear Pomade ($19) comes in 16 different shades, from a bright red and a powder blue to a stark white. Von D said the kaleidoscope of colors delivers something customers were already asking for. "We live in a time where everyone's dyeing their hair, and it's normal. I mean, before, you couldn't get a job if you had green hair. And now, it's like nobody bats an eye," Von D told me. 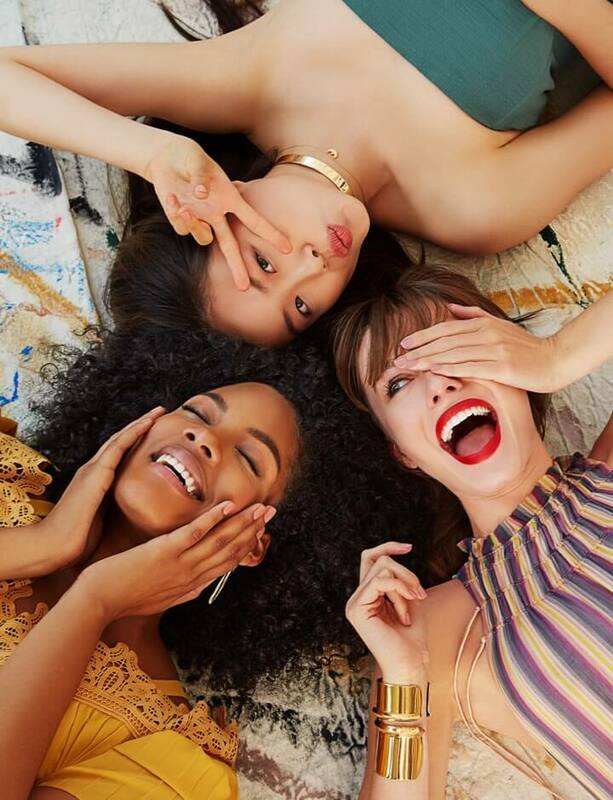 "I would see a lot of our fans and followers using our long-wear lipstick formula as an eyebrow color, and I'm like, 'Oh, that looks really good for Instagram.' 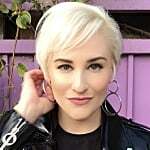 But that formula is really designed for lips and not really to adhere to hair follicles and the brow — I'm assuming that by the end of the day, it doesn't look that good!" So Von D decided to make a colorful product meant for brows. 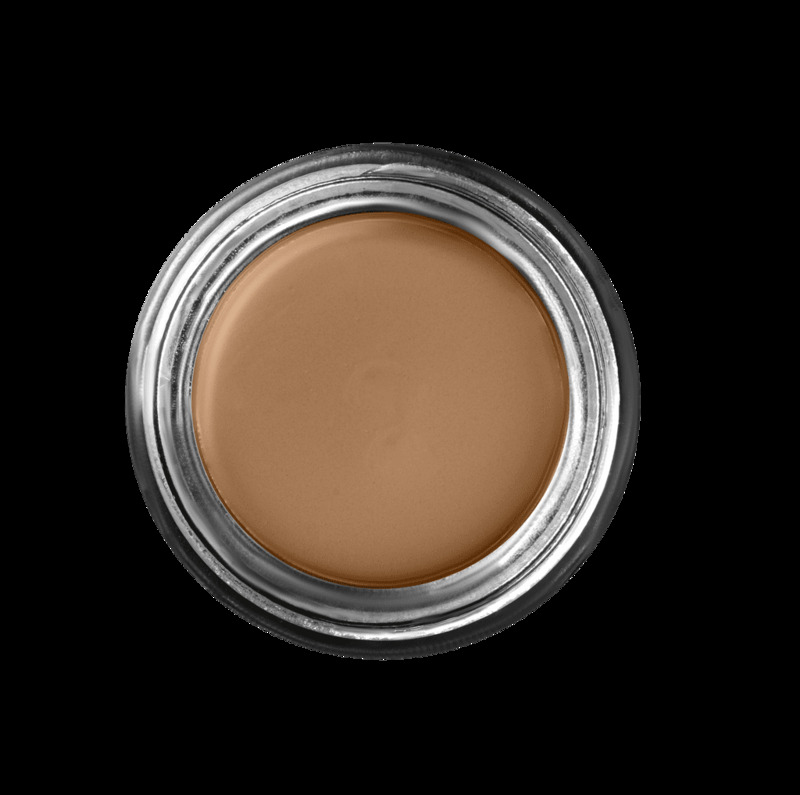 That includes an off-white shade, Bleach, that can be used to pastel-ify any of the colors. "It's basically a mixing medium," she said, "to be able to create whatever version of pastel or whatever color your hair is at the time." 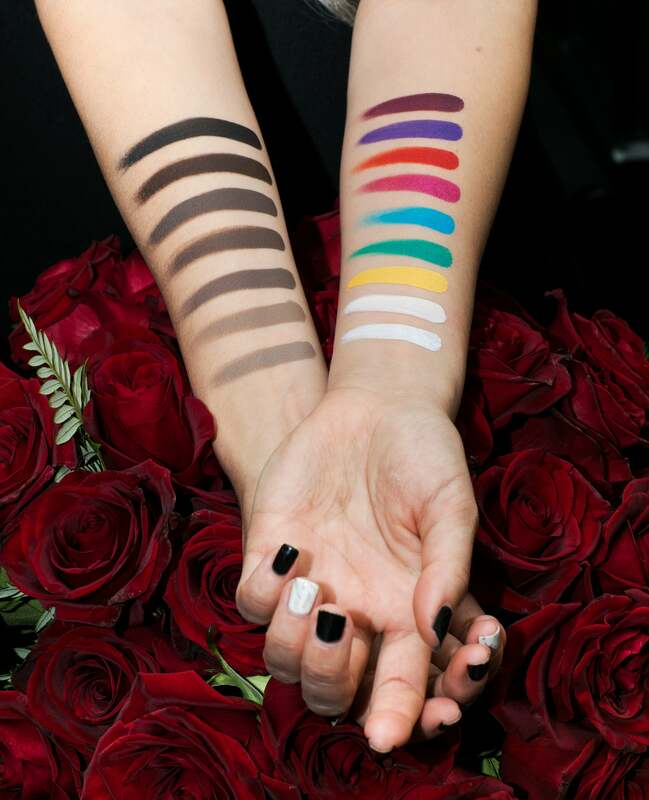 All 16 shades of 24-Hour Super Brow Long-Wear Pomade swatched. My personal favorite product from the new crop of products? Definitely the pomade. I wear it in Blonde every day, and my brows have never looked better or stayed looking better longer. (It certainly didn't hurt that the brow guru, Kelley Baker, gave my arches a much-needed touch-up just before my interview with Von D.) The buildable formula slides on smooth and clump-free. And while it definitely stays put, it's easy to clean up quickly in the moment if you get a little carried away, as I often tend to do. Before our interview ended, I asked Von D if she had any brow regrets of her own. While she cops to overplucking in the '90s (who didn't? ), she said she wasn't sure she'd call it a regret. But the queen of body art definitely did surprise me when she said she's personally not into tattooed eyebrows. "The only thing that I really was against was when the tattooing came out. I think that if it makes you happy, you should totally do it. But overall, I think the beautiful thing about makeup is that it's not a tattoo and that it does wash off, and that you can play with it," Von D explained. "Makeup is constantly evolving and changing, just like fashion is. And so tattooing, I think, is something completely different." So is it fair to say eyebrow tattoos are the one tattoo she wouldn't commit to, I asked? "I mean, there's a lot of tattoos I wouldn't commit to," Von D laughed. "But it's the one thing that, if somebody came to my tattoo shop, we would most likely not do. Just for the sake of we never want to tattoo somebody with something that they might possibly regret later on." While I understand Von D's hesitation, let me just say, I'd be happy to go under the needle if I could wake up with my brows looking as good as they do since I started using her pomade for the rest of eternity.